While I'm not sure most of Hall H had any idea what they were in for, I was pumped for RZA's Cutthroat City panel. Just check out the guests that hit the stage to join the Wu Tang Clan member to talk about his upcoming New Orleans crime flick: Shameik Moore, Wesley Snipes, Kat Graham, Denzel Whitaker, 2Pac doppelganger and All Eyez on Me star Demetrius Shipp Jr., MMA's Tyron Woodley, and Keean Johnson. Also in the film are rapper T.I., most recently seen in Ant-Man and the Wasp, and Terrence Howard who did send a heartfelt video message praising Rza as a filmmaker. One look at the trailer and you can see this is a far cry from the martial arts-inspired stuff Rza has been doing. Cutthroat City is a heist flick surrounding four friends from New Orleans' Lower Ninth Ward, who find the city decimated and job prospects vanished in the wake of Hurricane Katrina. Still needing to put food on the table, they take on a dangerous casino heist gig for a local crimelord. 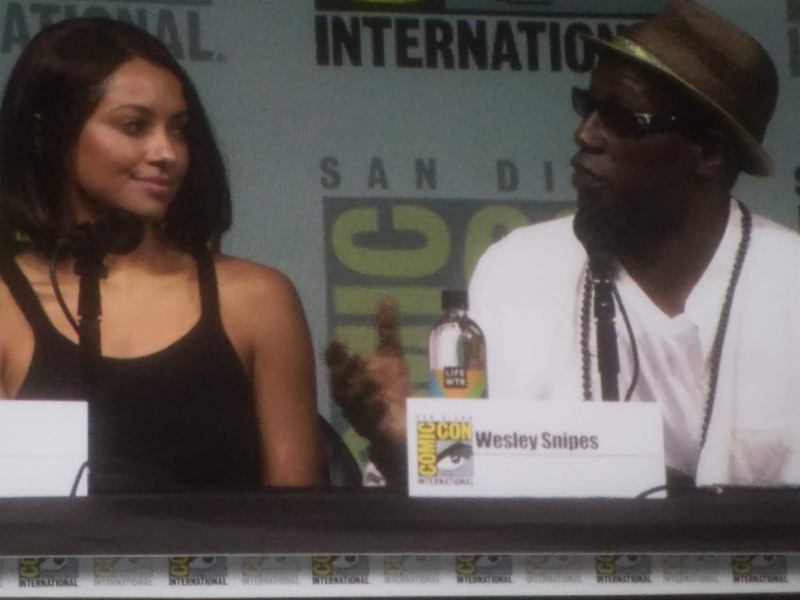 The panel often turned to praise for Rza's career as a producer and director, while Snipes was shown more than his share of love. A highlight for me came from UFC grappler Woodley who called out fighters who talk a big game but don't really want to fight. Tops on his list for having big mouths but no desire to fight were Conor McGregor and Colby Covington. Cutthroat City opens in 2019. Check out the trailer below!